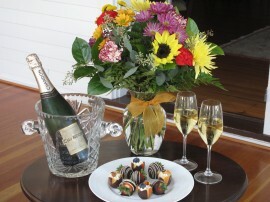 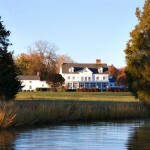 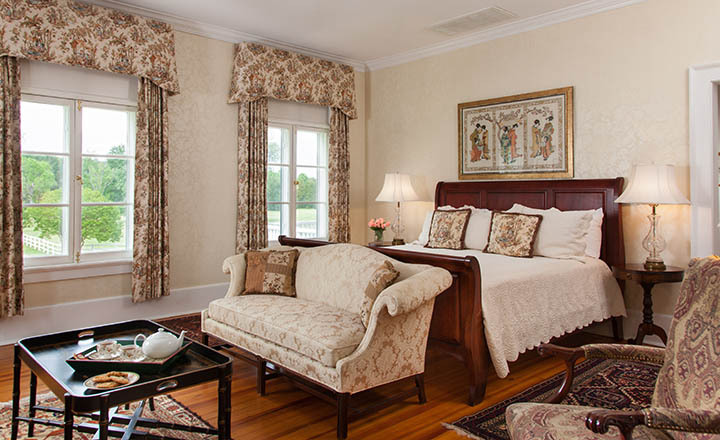 The comfort and convenience of our guests is our primary concern. 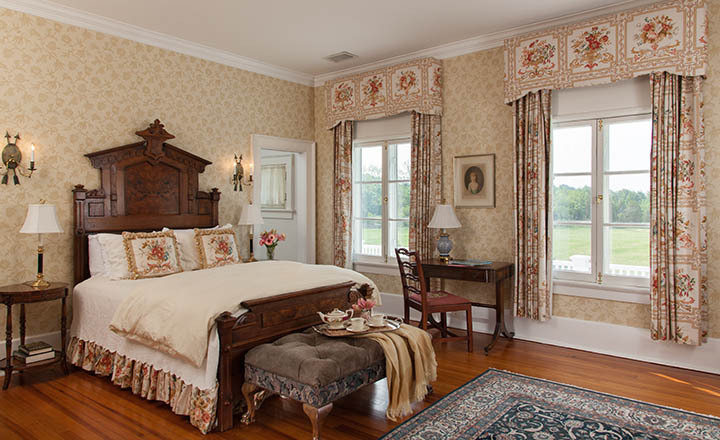 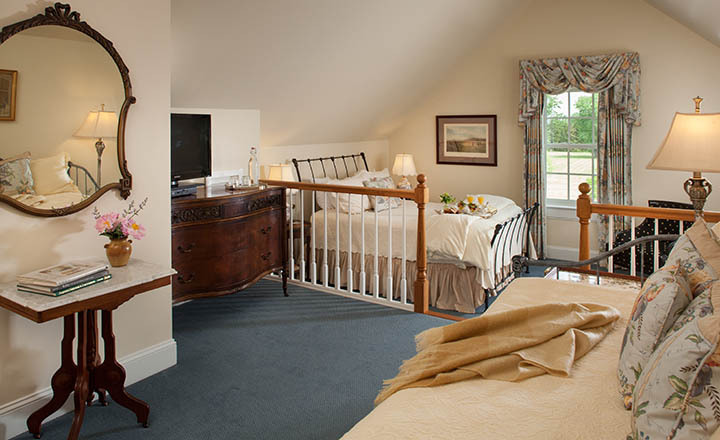 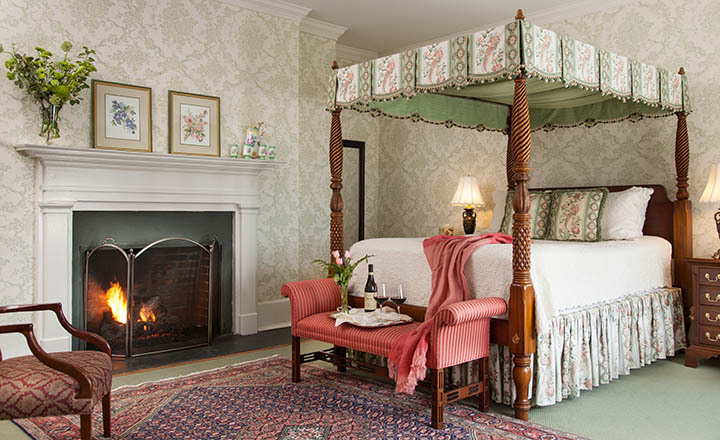 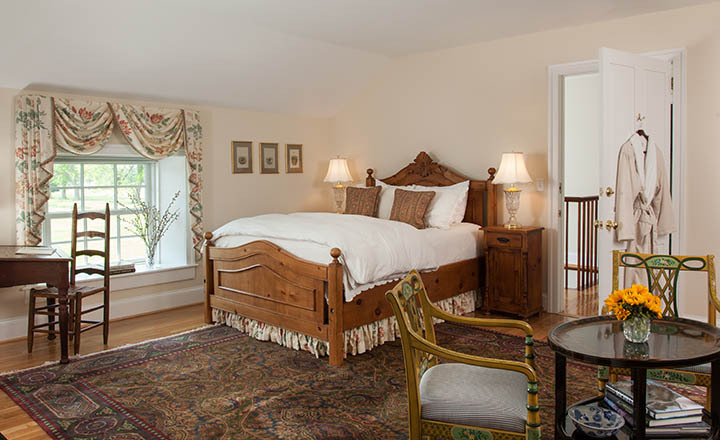 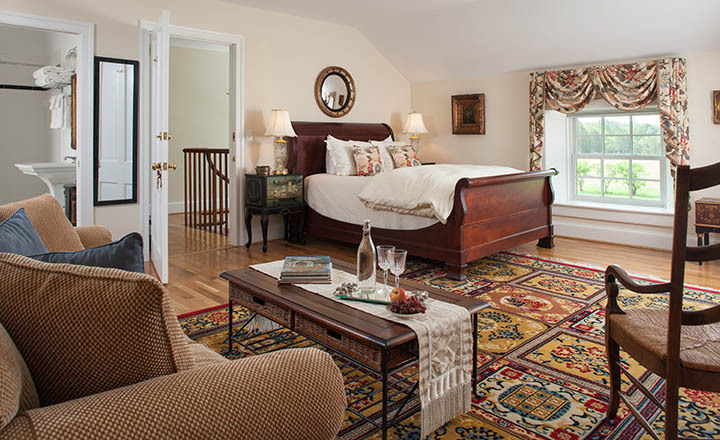 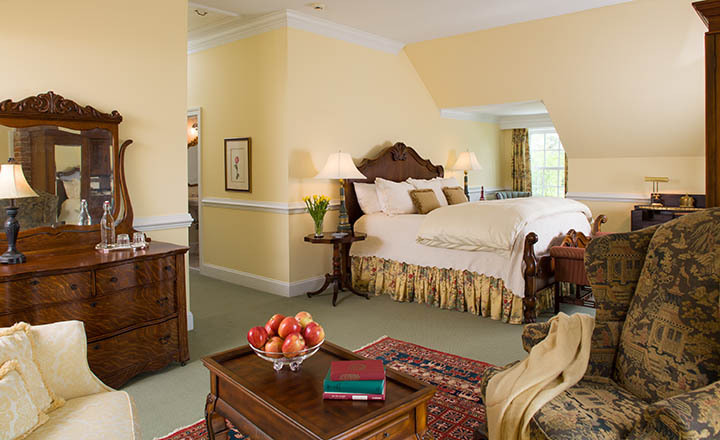 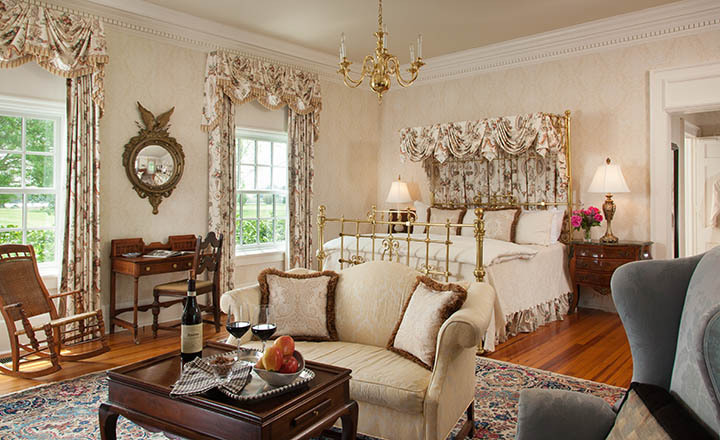 Our romantic Virginia Inn‘s guestrooms are beautifully furnished with a combination of period antiques and incredibly comfortable beds and mattresses. 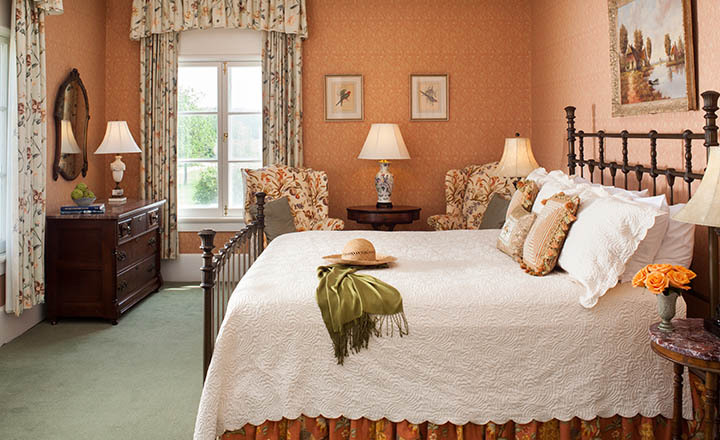 Guests will also enjoy sumptuous Schumacher fabrics and wall coverings throughout the Inn. 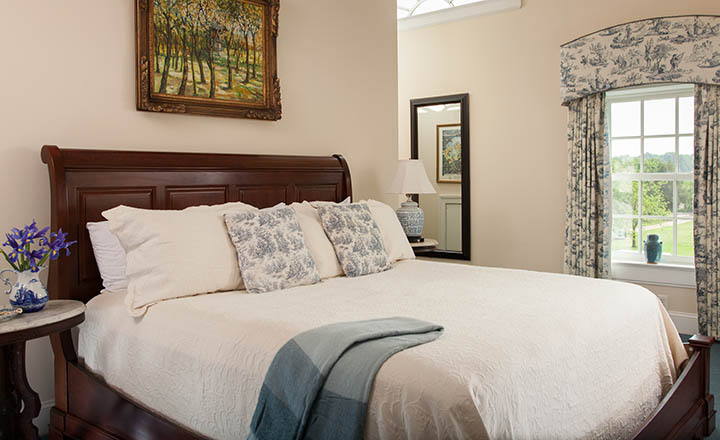 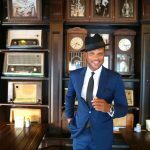 All of the Inn’s eleven spacious guestrooms have 10’ ceilings, comfortable sitting areas, private bathrooms, 32″ flat screen TVs, individual climate control, telephone and CD clock radio. 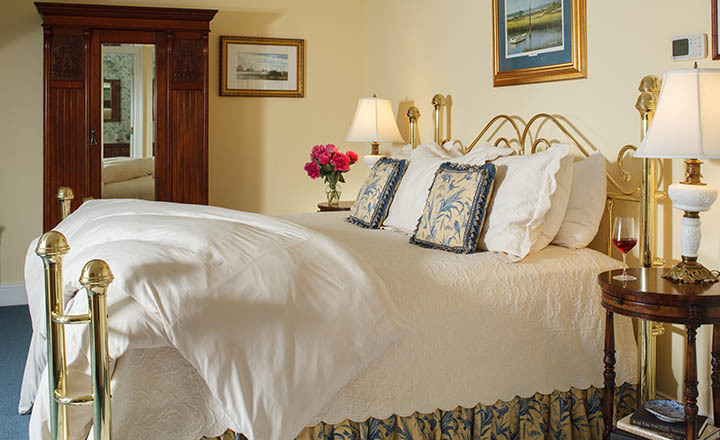 Our down comforters, pillows, terry robes, bottled water, home-made treats and Gilchrist & Soames bath products will ensure a delightful stay! 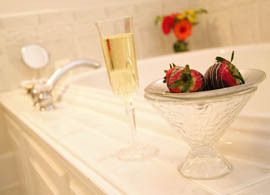 Guests each day enjoy a complimentary breakfast and snacks!